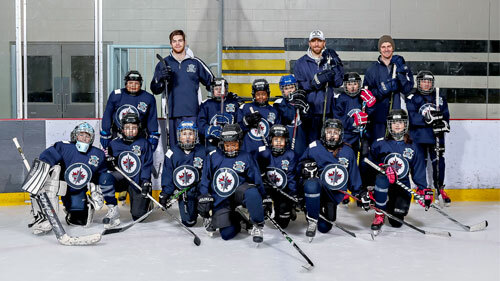 The Winnipeg Jets Hockey Academy (WJHA) is a play-based program designed to increase school attendance as well as high school graduation rates in socially and economically challenged schools in Winnipeg. 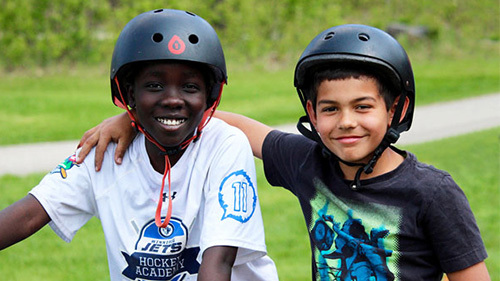 The WJHA has over 250 volunteers from local companies, 50 school champions and employs 30 university students throughout the school year to guide over 620 children in improving their connection to their school by offering a weekly hockey program for student athletes. Camp Manitou is a summer camp and year-round outdoor recreation facility located five minutes outside of Winnipeg. With its forests, large grass playing field, and the Assiniboine River on three sides, this 28 acre oasis provides lots of space in which to enjoy nature. We provide a wide range of activities, challenging educational programming, and the perfect environment to step out of the everyday and connect with nature. Project 11 is an engaging cross-curricular prevention program targeting Manitoba’s English Language Arts and Physical Education/Health Education outcomes. Weekly lessons and daily activities have been designed to help support students and teachers in bringing mental health awareness, along with positive coping skills into their lives. The True North Youth Foundation (TNYF) has embraced a new NHL initiative for underprivileged children to learn how to play hockey. Children between the ages of eight and nine are carefully chosen by their school divisions to attend the program once a week for ten weeks during the school year at their local community arena. The children are provided with free equipment from the NHL over a ten-week period and are also being monitored by Hockey Canada and Hockey Manitoba.